It's amazing how the knit stitch can make you feel! 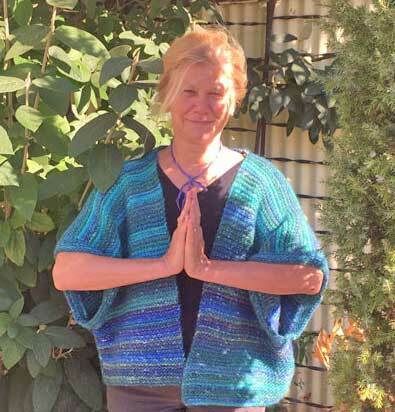 Here we review the amazing feeling that knitting can give you and present a simple non fitted garment that only requires the knit stitch. Remember that feeling when you first mastered the knit stitch? Your fingers just all of the sudden knew the right thing to do. The pure pleasure of the repeating the knit stitch over and over and watching your fabric grow. There was, and is something so zen like, repeating the same movement until there is muscle memory and you no longer have to think. It actually has been scientifically proven that knitting puts you into a happier place. 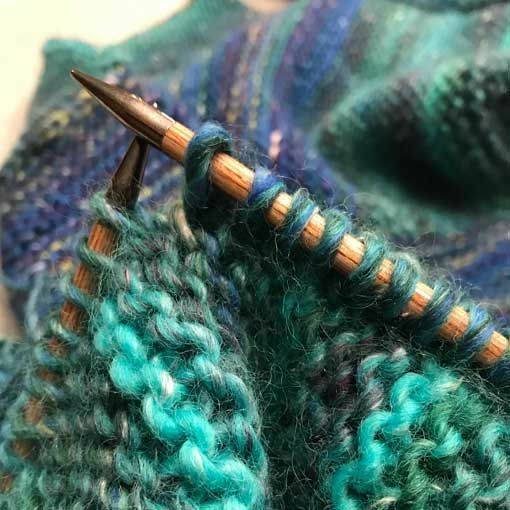 As a beginning knitter you often want to move on to learning the purl stitch, creating stitch patterns, learning new techniques and feeling like you are the master of the knitting process. But in the end, when all of those skills are mastered, we often return to nothing but the knit stitch. Soothing, comforting and beautiful, garter makes both beginner and experienced knitters happy. In case you are looking to just move your hands, this kimono like garment is made up of rectangles. The body is made up of 3 rectangles that are seamed together. The sleeves are also garter rectangles that are joined by picking up stitches from the body. 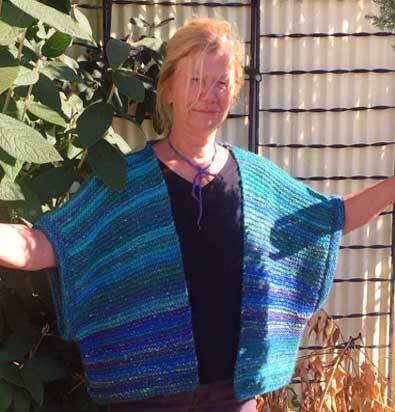 Erika just finished this garment using Plymouth Mushishi Big and Plymouth pattern number 3033 Slouchy Shrug.